The extent of noise and its impacts continues to grow globally indicating a different approach from regulating individual noise sources is needed. We pose the argument that soundscapes, or the acoustic environment, should be managed as a common-pool resource (CPR). Using CPR theory, we argue that soundscapes possess key features of CPRs: (1) multiple soundscape users, (2) difficulty of exclusion, and (3) subtractability and degradation. Using Ostrom’s Social-Ecological Systems (SES) framework, we describe the main elements of soundscapes to consider for their sustainable management. In order to assess noise issues and challenges in managing national park soundscapes, we conducted interviews with U.S. National Park Service managers at parks identified as having air tour overflight impacts. While most managers indicated that aircraft overflights posed the most serious impacts to park resources and visitor experiences, the park units also experienced several other types of noise impacts including traffic on park roads, park maintenance operations, and different types of motorized recreational vehicles. Addressing single sources of noise is necessary, as is the case with air tour overflights, but we argue that a more comprehensive approach is needed to protect park soundscapes. 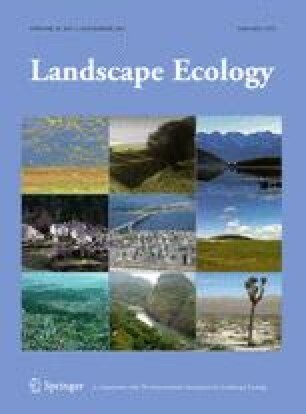 From this study several SES framework variables emerged that need to be addressed for sustainable management, such as the lack of clear soundscape boundaries, availability of acoustic monitoring and data, and the number and types of soundscape users. Based on CPR theory and using the SES framework, the challenges and a potential new approach for sustainable management are discussed. We thank the National Park Service natural resource managers who agreed to participate in this study. We also thank the NPS Natural Sounds and Night Skies Division staff who provided additional insight on air tour and soundscape management service-wide. The authors greatly appreciate Elinor Ostrom’s insights on soundscapes as CPRs and comments on this manuscript. The authors also acknowledge input on drafts of this manuscript from Kimberly Robinson, Adam Reimer, and Burak Pekin. This research was funded by Purdue University’s Department of Forestry and Natural Resources, NSF III-XT Grant (#0705836) to BCP and a U.S. EPA STAR Fellowship to SLD. Any opinions, findings, and conclusions or recommendations expressed are those of the authors. This paper has not been formally reviewed by the EPA or NPS and is thus not necessarily endorsed by them. The interview research was approved by the Purdue IRB #0704005210.